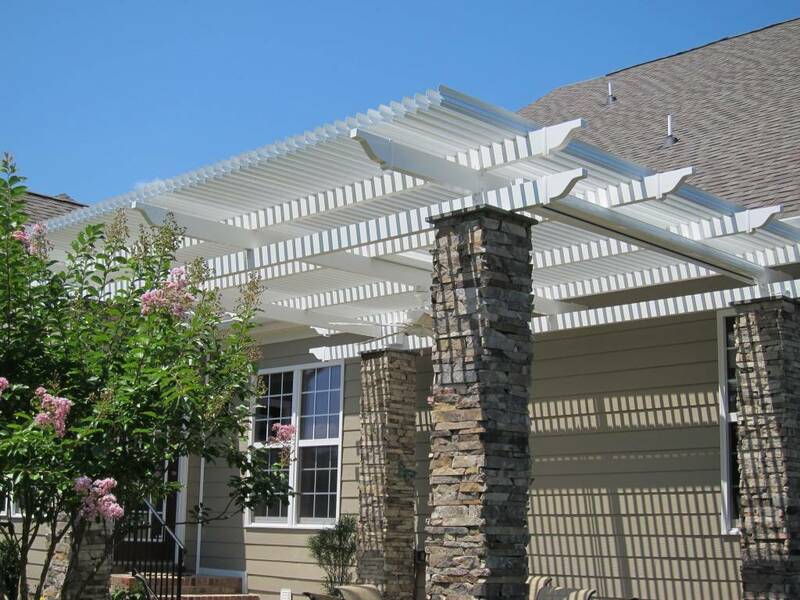 Before & After- a Louvered Roof Transformation! 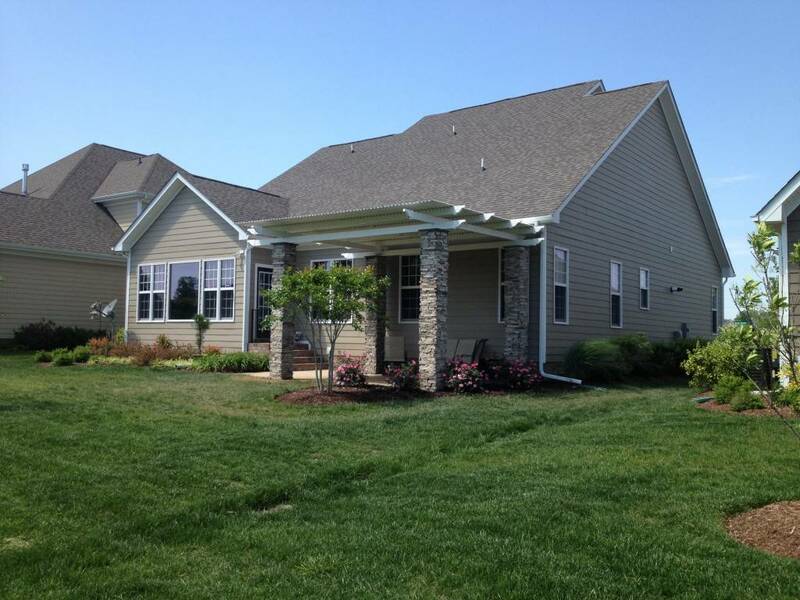 | Old Dominion Innovations, Inc.
Home » Before & After- a Louvered Roof Transformation! Before & After- a Louvered Roof Transformation! 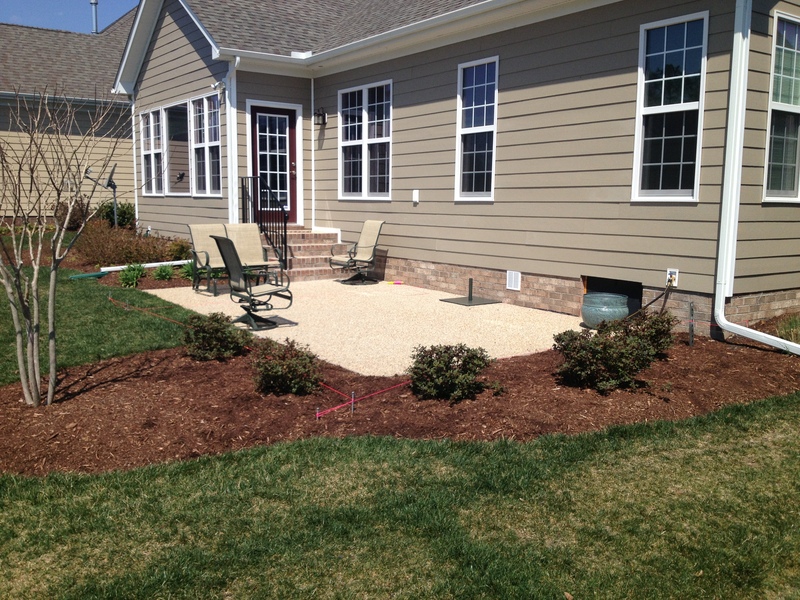 This homeowner had a lovely property and landscape plan, but the exposed patio was unusable in Virginia’s extreme summer heat and humidity. 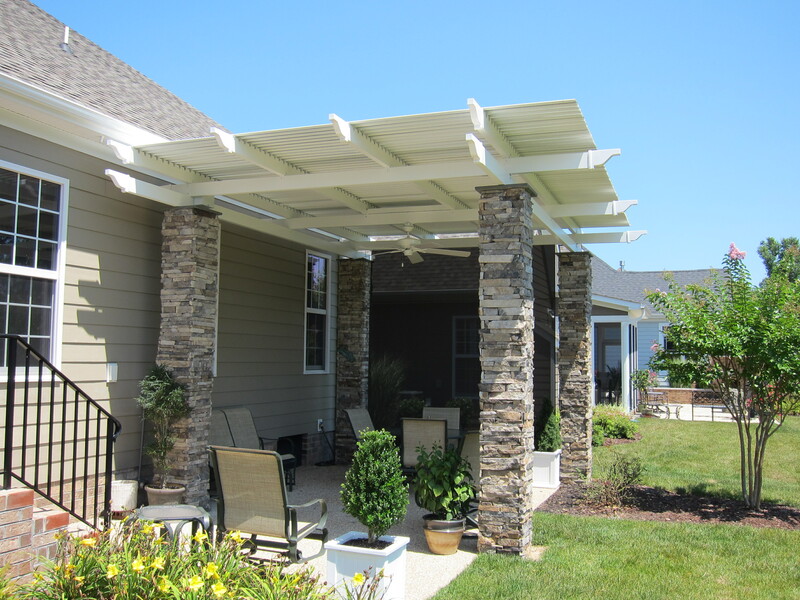 In only a few days, ODI completely transformed their backyard with a Louvered Roof! 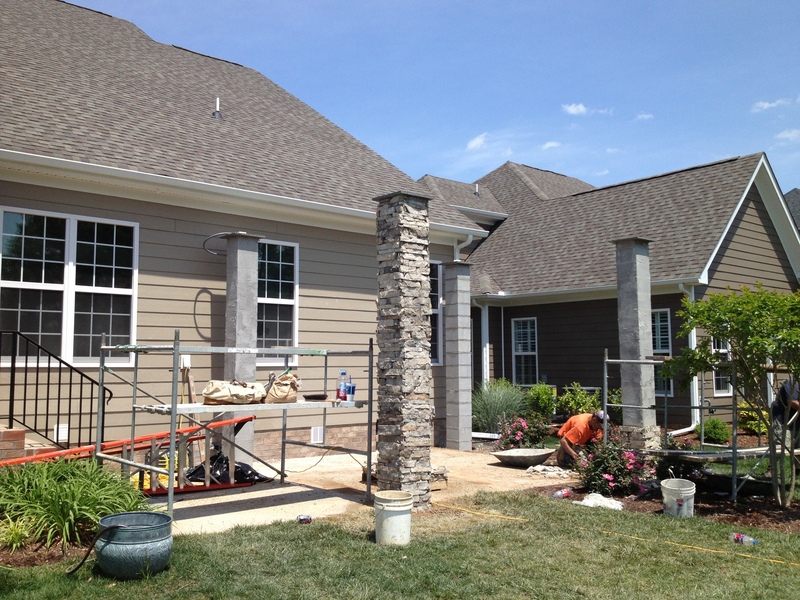 Lovely stonework pillars were selected to complement the existing decor and add textural interest. 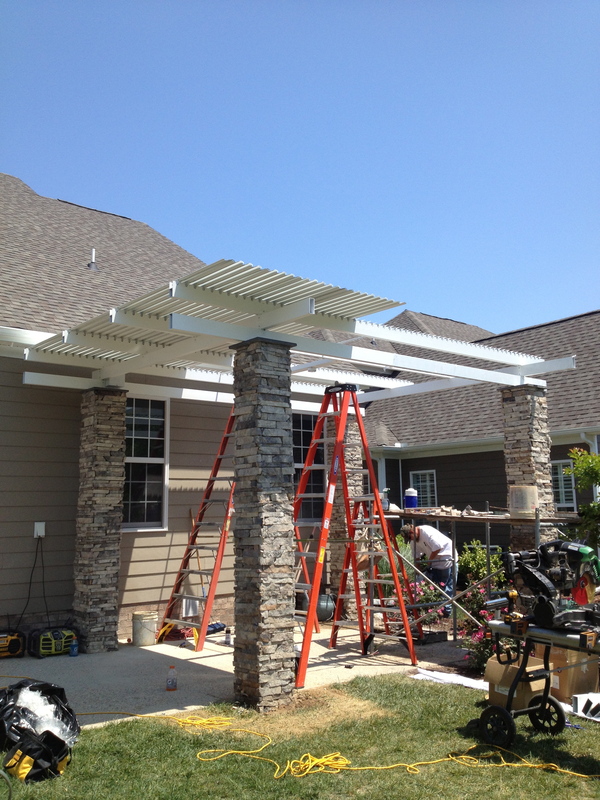 After the pillars, the rafters and beams were installed, then the Louvers. 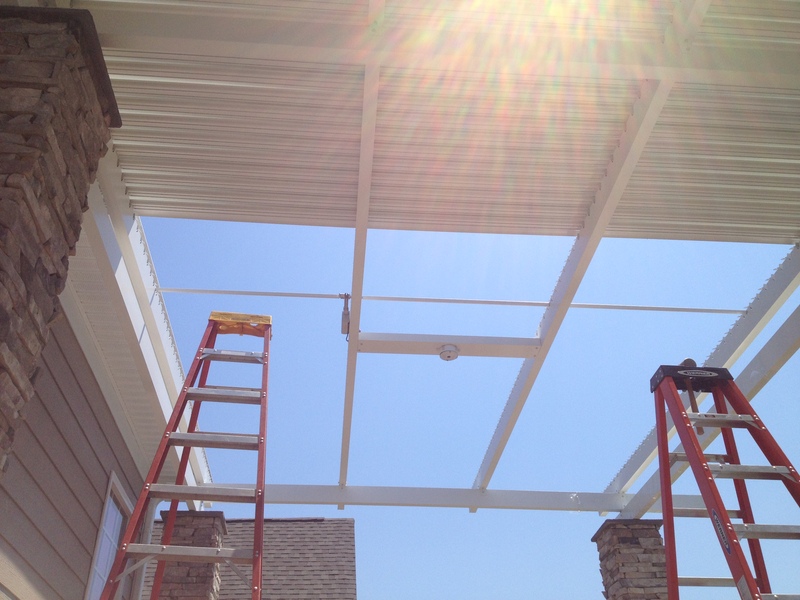 The Louvered top and ceiling fan took two days to complete. The Homeowners also added a remote controlled roll-down screen for privacy and shade. Check out the amazing “after” photos. This inviting outdoor space has become their main living area, with good reason!